Atty. Nealon graduatedcum laude from Villanova University with a B.A. in Communication and a minor in Political Science. He then completed his legal studies at Villanova University School of Law receiving his Juris Doctor in 2011. While at Villanova Law, he was a member of the Brehon Irish Law Society, competed in the Honorable Theodore H. Reimel Moot Court Competition, and served as a law clerk for Foley Law Firm. He was subsequently admitted to the Bar of the Commonwealth of Pennsylvania. He is a member of the Pennsylvania Bar Association, as well as of the Pennsylvania Association for Justice. Atty. 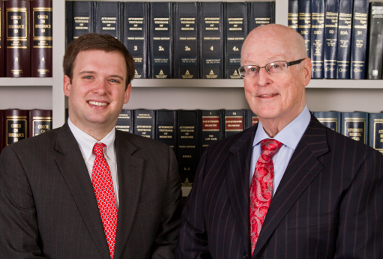 Nealon resides in Scranton, where he is active in local organizations including the Lackawanna Bar Association, the Young Lawyers Division, and the Friendly Sons of St. Patrick of Lackawanna County. Foley Law Firm serves personal injury clients throughout northeastern and central Pennsylvania from their offices at 600 Linden Street, Scranton and 26 N. 6 th Street, Stroudsburg. Foley Law Firm handles a wide range of personal injury cases, including motor vehicle accidents, interstate trucking accidents, workers compensation claims, and medical negligence.